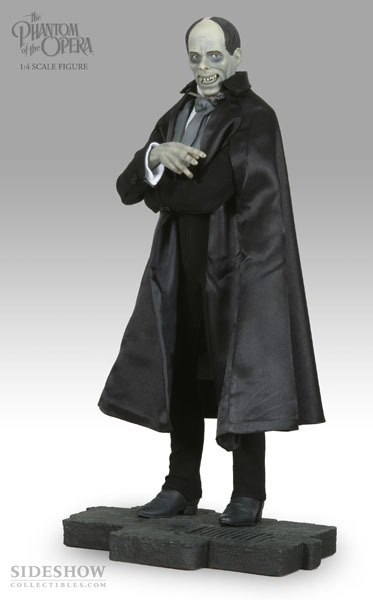 We will update our Photo Archive from July 14, 2008 to July 20, 2008 with new Sideshow Collectibles Universal Monster 1/6 scale figures. Randomly we will put a small Phantom token in five of the Photo Archive entries. Find all five and ENTER HERE with all five figure pages listed as well as your full name and complete mailing address. Make sure to enter PHANTOM SCAVENGER HUNT into the subject title of your entry. This contest closes at 11:59 PM (PST) on July 22, 2008. All entries must be sent using the link above and must contain the correct answers as well as your full name and shipping address. Only one entry will be permitted per household. Any additional entries will be disqualified from the draw. The winner will be selected at random from all the entries that fit the above criteria. If the winning entry is not clamed within seven days, the new winner will be selected.